Here at the Valley we pride ouselves in having the cleanest rooms in town. 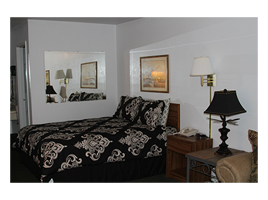 If a quiet, comfortable, clean stay is a must then the Valley Inn Motel is where you need to be. Located on the south end of town we are only minutes away from dining out or having a drink. Visit our club on site (no membership required) or jump up on the by-pass to enjoy a meal. 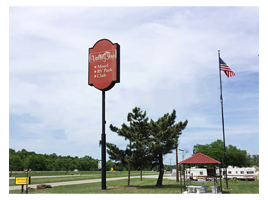 Whether its lake Eufaula or McAlester's airport your looking for we are centrally located for all your lodging needs. We look forward to serving you at The Valley! We offer free WIFI, Cable TV with expanded channels, microwaves, refrigerator, and coffee pot in every room. Our rooms offer the elegance, class and comfort you are looking for. With our modern and fun motif, you're sure to enjoy any stay with us, whether you're here on business or for some fun. And all of our beds offer luxurious comfort, so you can ensure that you'll sleep soundly. Front side has 2 beds in each room. All rooms have queen size beds. Smoking rooms available but limited availability.